Top Lake Trail is a 3/4 mile connecting route from Top Lake to Cigar Lake in the Olallie Scenic Area. There are currently no signs either end but the trail is easy to find. At Top Lake the route departs the Red Lake Trail 719 at the northwest corner of the lake. A pleasant walk through larger (for the area) timber to a small set of well graded switchbacks ending at the Skyline Trail at the outlet of Cigar Lake. 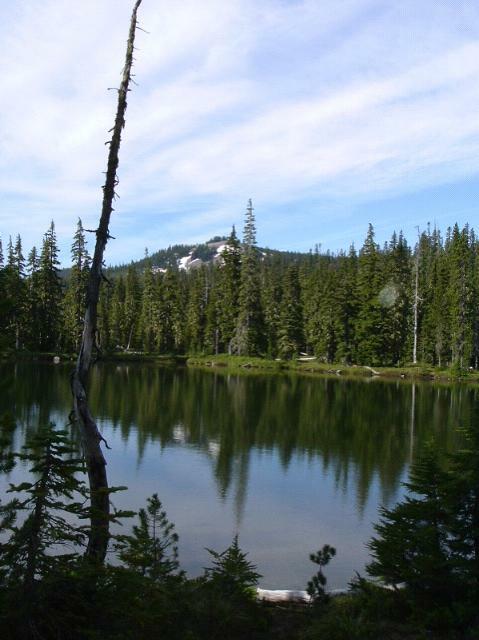 A useful shortcut to Cigar Lake and to the Double Peaks Trail 735 from Olallie Lake.